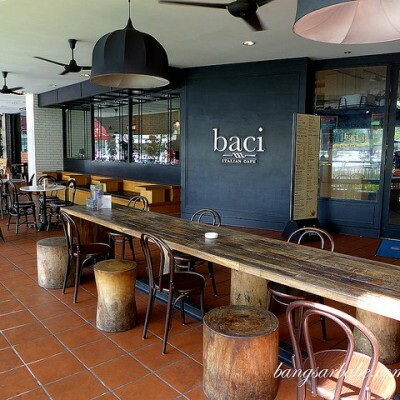 Since my last visit to Di Wei, the place has since undergone a makeover and Di Wei version 2.0 looks very different. The ‘runway’ is no longer there and the restaurant feels more spacious and open (my apologies for forgetting to take pictures of the place). That said, I’m glad the food remains just as good as I remembered it to be. 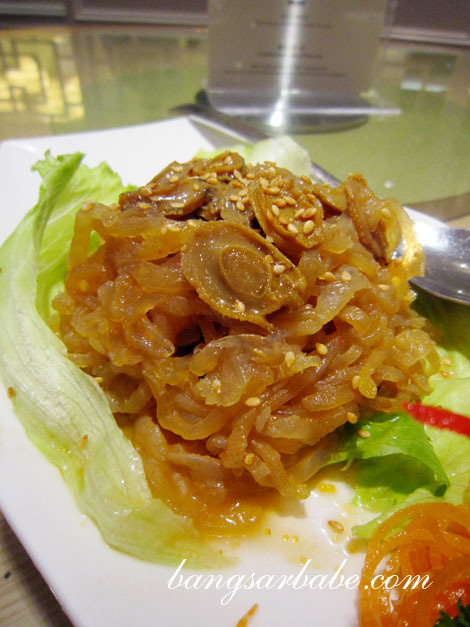 The cold jellyfish is quite a common appetizer – I also had this as part of the four seasons dish for my wedding dinner – but Di Wei’s version came studded with baby abalone. 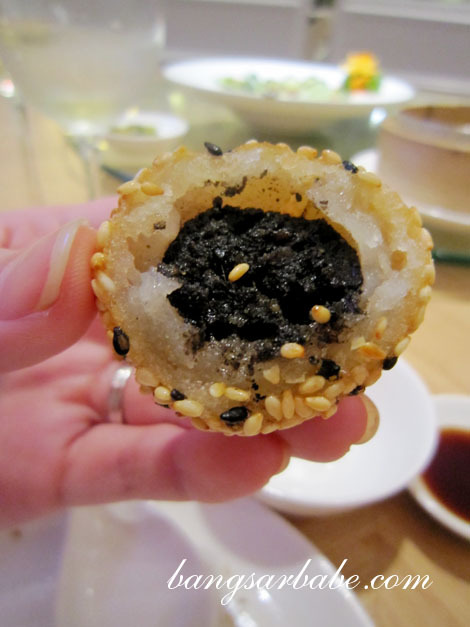 Mildly tangy and crunchy in texture, the abalone added a nice chew to this refreshing appetizer. 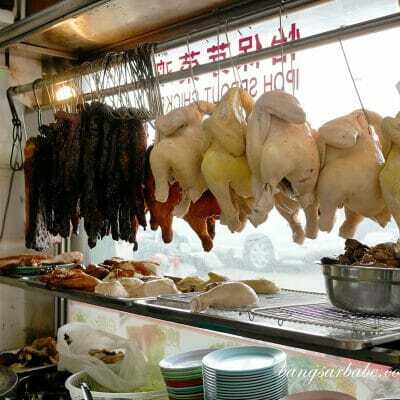 The chicken wings stuffed with glutinous rice is a Di Wei specialty. The wings were deboned before the rice is added. To add umami to the wings, the chef seasoned the rice with soy sauce and some chicken stock. The skin of the chicken was nicely crisp and I liked that it didn’t reek of 5-spice powder. I also enjoyed the crispy fried onion rings on top of the chicken; the onions were sweet and still juicy. Mongolian pork rib is something I rarely find in Chinese restaurants. 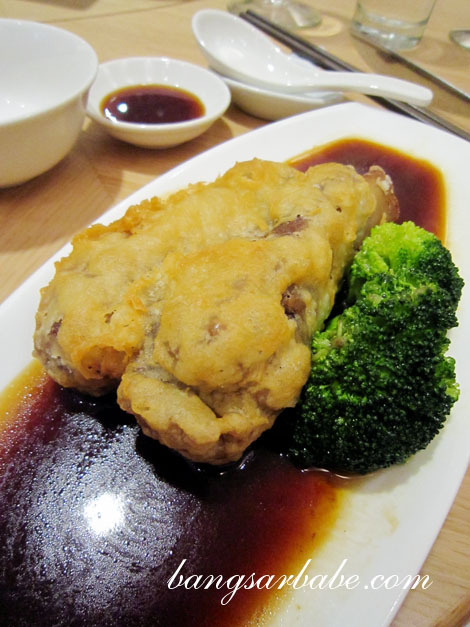 Di Wei’s version boasts a large and meaty piece of rib, deep-fried and placed on top of a sticky-sweet gravy base. I thought the gravy tasted like a cross of mushroom sauce and sweet bean sauce. Weird, but quite tasty. The pork was tender and incredibly succulent – I rather enjoyed this. 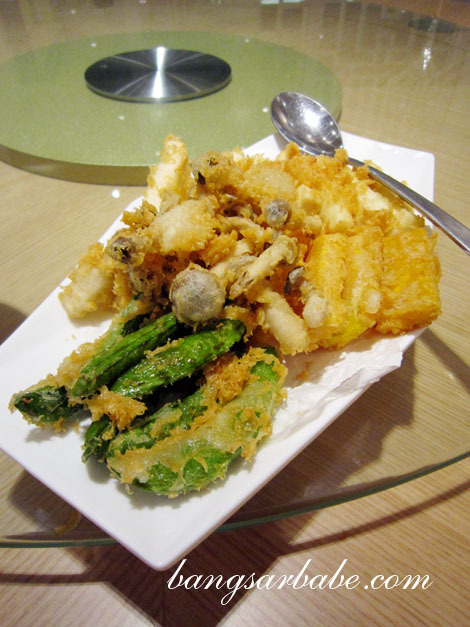 The vegetable tempura is a straightforward dish, but this was nicely executed, resulting in a wispy and almost melt-in-the-mouth batter. I liked that the vegetables still retained their crunchy and sweet nature, especially the sugar snaps. To further insult our expanding waistline, we shared a plate of deep-fried cheese prawns. The batter for this was not as light compared to the vegetable tempura but it was good in its own way. It had an ideal balance of savoury, cheesy and garlicky flavour, which paired well with the juicy and firm prawns. The minced pork with egg noodles were lovely. If you’re a fan of the beef noodles at Soong Kee and Ngau Kee, you might like this better. The springy noodles came with a generous sprinkle of pork lard and the pork mince topping was flavourful and moist. Good stuff. 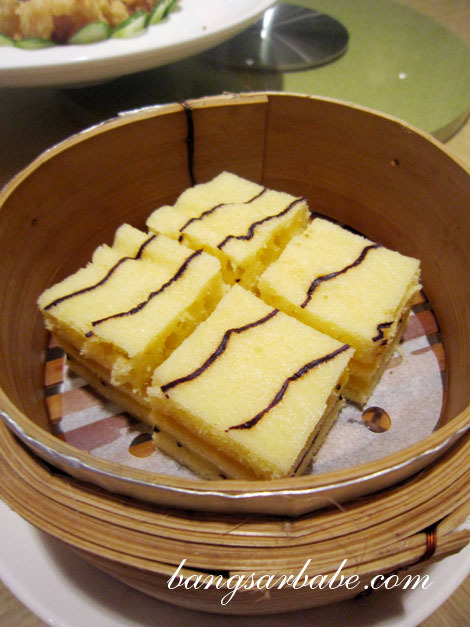 For desserts, we had the steamed layer cake with custard and deep-fried sesame balls. 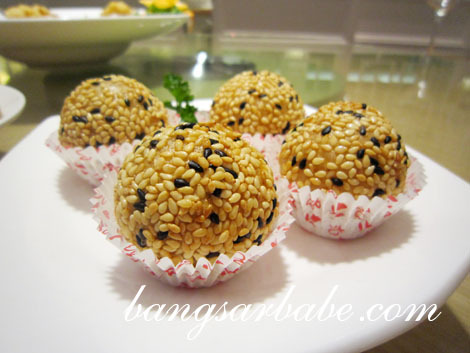 The sesame balls were stuffed to the brim and fried till the exterior is golden brown and crispy. I thought the layer cake tasted better than the one I had during my last visit. Although the texture was fluffy, it still had a substantial bite and the custard wasn’t too sweet. Service was good throughout the night – I hope it’s not just because my friend is a regular customer there. On a whole, the food was pretty decent and I liked how it’s not to ‘try hard’. Verdict: Simple yet tasty dishes. 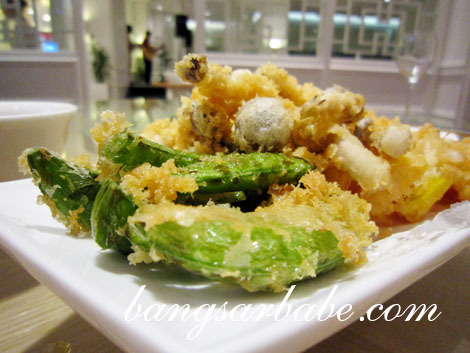 Try the vegetable tempura, pork noodles and Mongolian pork rib. We just had dim sum yesterday too. Have not tried Di Wei’s, since the place always looks empty when we walk past. Maybe try next time we visit Empire hehe. you had me at Mongolian pork rib !! I would never have guessed there was a pork rib inside that batter. Oooooh! 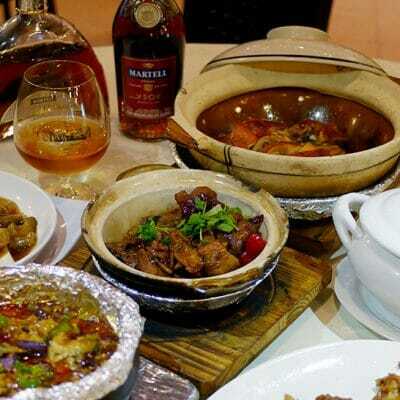 I have yet to try the dim sum at Celestial Court! Most of the items are fried!! !